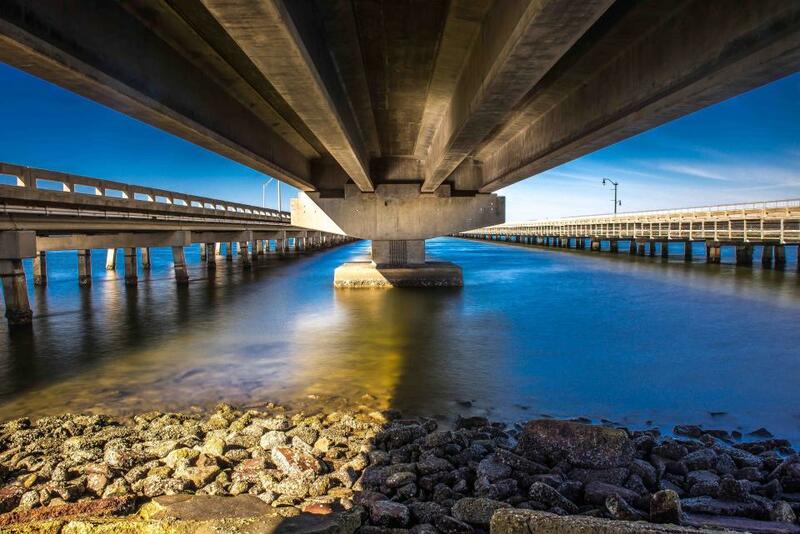 This photo was taken beneath one of the many bridges that cross Tampa Bay. I took this photo at 10:00 am one morning using a 9-stop ND filter to produce the smoothing of the water. The 26 second exposure also created some great sun and shadow lines.